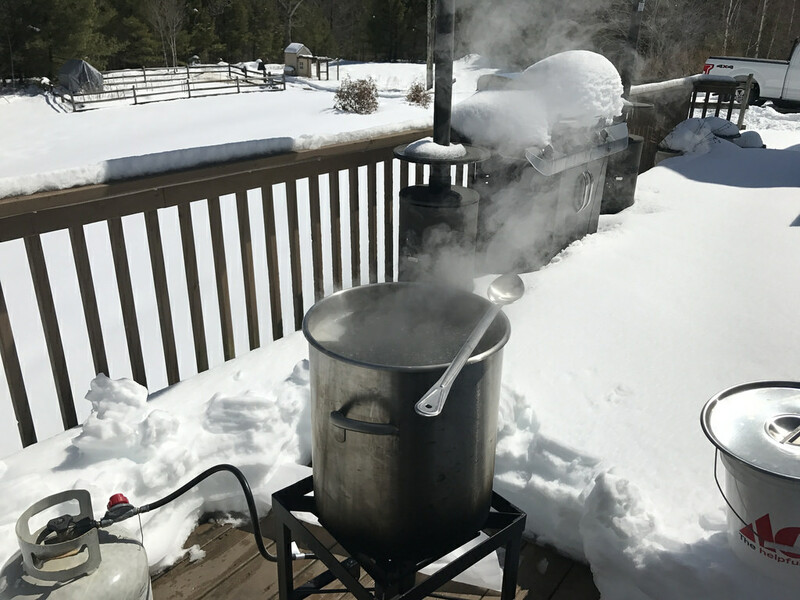 Home Hobbyist maple syrup making is not new to me, but is new for me doing it solo. I used to help out at a fairly large-ish hobby sugar shack making well over 100 gallons of finished product a year. While you would think that would make my life easier, it is actually the opposite as many of the things we did were incorrect and produced a poorer product. 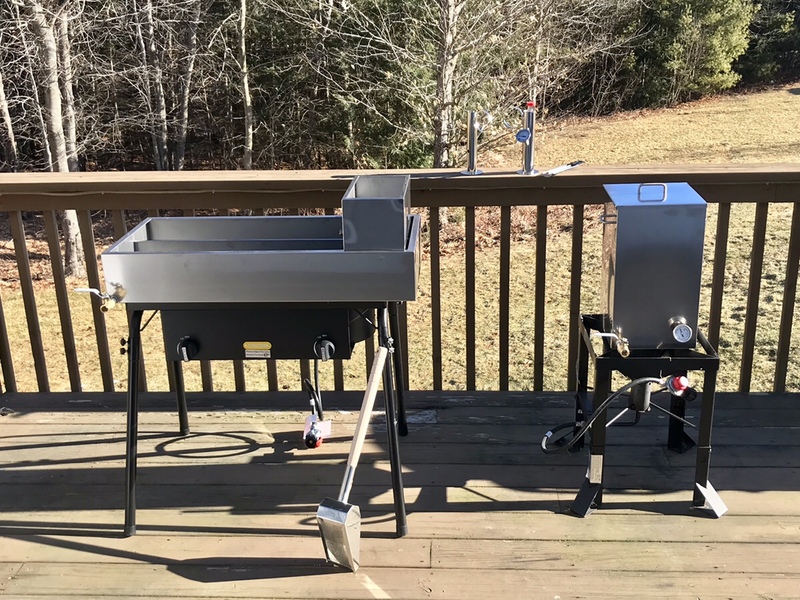 So in my quest to learn, this is my launching page for making, and double checking to create a superior maple syrup for myself and friends. 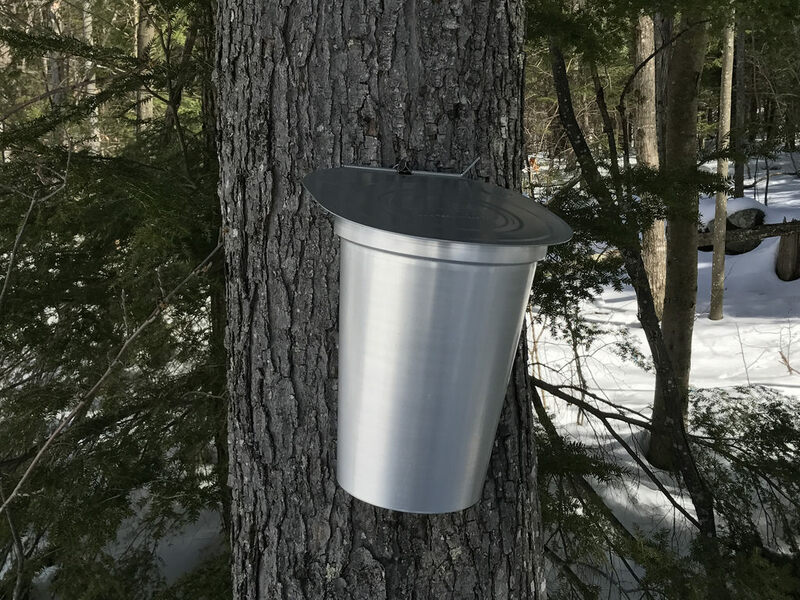 How much sap can you collect per tap? 5/16 inch drill bit – two inches deep – waist to chest height – tap at a slightly upward angle. 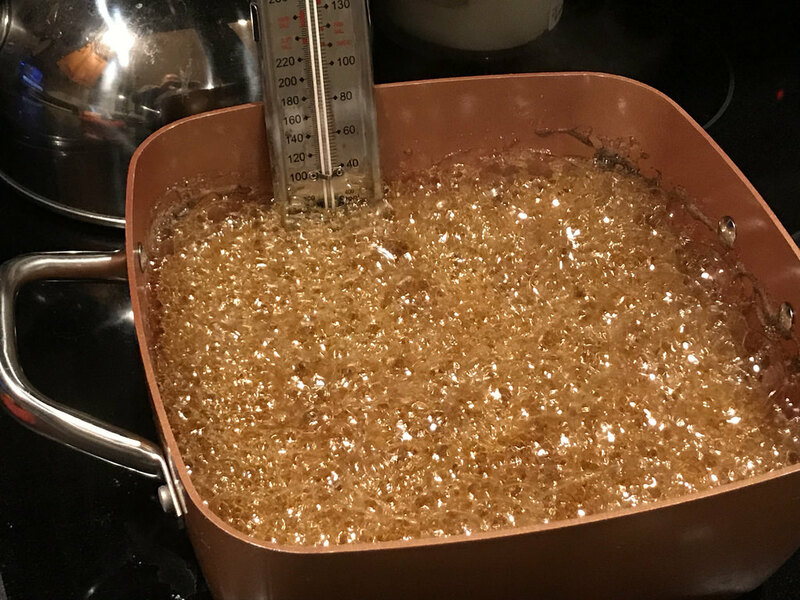 Using the Rule of 86 – Which states that you take your maple sap sugar content and divide it by 86. This will give you the number of gallons of maple sap you will need to make 1 gallon of syrup. How large of a pan to cook sap do I need? Hobbyists such as myself will either be using a good old lobster pot, or a smallish flat pan. The rule is that it takes 1 square foot of pan for 1 gallon per hour. 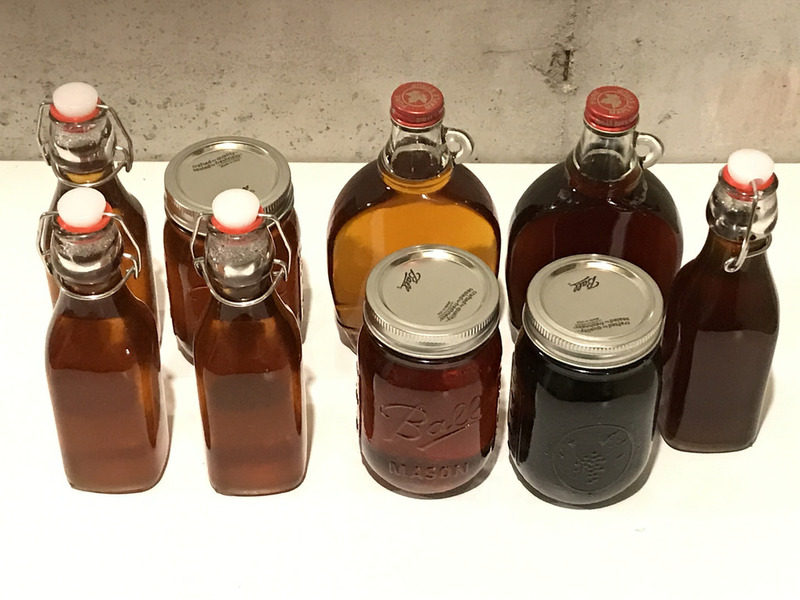 Is it Maple Syrup Yet? When your maple syrup shows 66 – 67 on the Brix scale. Don’t have a Brix scale? 7 degrees above boiling temperature on a candy thermometer and it is syrup. For the hobbyist, that is usually close enough. For the perfectionist, make sure you take into account barometric pressure as the boiling temperature can fluctuate. 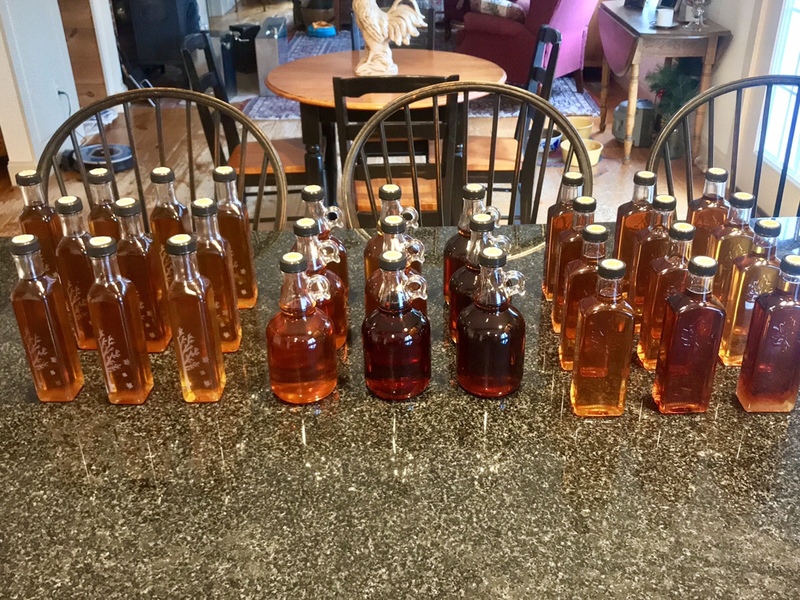 I thought I did everything correctly my first try, but because I didn’t take barometric pressure into account, my finished syrup on one batch was 68.2 on the Brix. The syrup was too think. Oh, it tasted just fine. But it got rejected at a local fair for being out of the range of syrup. This is the small crystals that fall out of the syrup and happens when you boil syrup. This is why there is an extensive filtering process on store purchased syrup. For the hobbyist, there are simple cone filters you can use and will filter out any sediment. As long as you do not reboil the syrup you will be all set. If you do reboil it for any reason, you will get sediment all over again and it will need refiltering. I was making the mistake originally of filtering as I put it into the finishing pan (was just a pot on the stove my first year) where I could control the temperature more and get to the best consistency. But then I would get the sediment and never understood why. I reboiled the syrup. It was that simple. So finish the syrup first, then filter, then bottle. Heat the maple syrup to just over 180 degrees. This isn’t high enough to reproduce sugar sand but is high enough to immediately sanitize your storage vessel. You may reuse glass, but you should not reuse plastic bottles. You will need new seals every year. Maple syrup can stay stored on a shelf nearly indefinitely if sealed properly. Once open, put it the refrigerator.